Kayla Wolf for Shaw Media Flight instructor Dave Hooper pulls an airplane from its hanger Tuesday April 4, 2017, at LITH Airport. 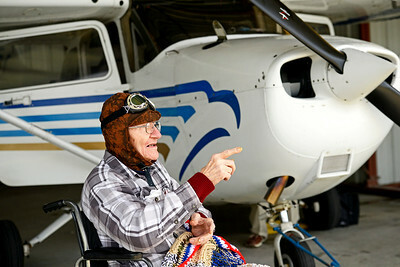 Former WWII pilot Leonard Chilling sits inside the plane to go for a ride around McHenry County for about an hour. Kayla Wolf for Shaw Media Former WWII pilot Leonard Chilling flies in a plane at LITH Airport Tuesday April 4, 2017, in Crystal Lake. Chilling is a 93-year-old resident at Bickford Senior Living. 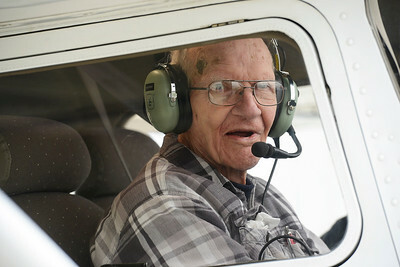 Kayla Wolf for Shaw Media Blue Skies flight instructor Dave Hooper flies brings former WWII pilot Leonard Chilling in for a landing Tuesday April 4, 2017, at LITH Airport in Crystal Lake. Chilling is a 93-year-old resident at Bickford Senior Living. Kayla Wolf for Shaw Media Former WWII pilot Leonard Chilling points at a plane coming in for a landing Tuesday April 4, 2017, at LITH Airport in Crystal Lake. 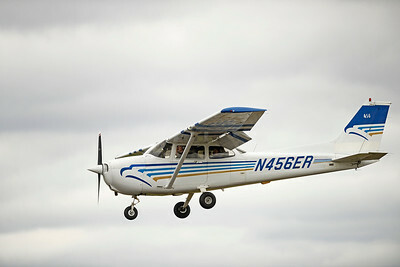 Employees at Bickford Living and Comfort Keepers arranged for Chilling to fly with a Blue Skies instructor.